Dr. Yvonne Welbon, 54 | Acclaimed filmmaker has promoted understanding the experience of Black Lesbians, Black Women, and the larger Black Community. Her work includes “Sisters in Cinema”, “The New Black”, and “Living with Pride: Ruth Ellis @ 100”. For over 20 years, Dr. Yvonne Welbon has used her talent for understanding and developing the narrative of Black Lesbians, Black women, and the larger Black community through the medium of film. As with most major media, the presence of Black images, within documentaries and feature films, serves as a powerful vehicle for conveying the lived experience. Dr. Welbon’s insightful and compelling entry into the independent film industry, focusing on those individuals and communities often obscured or at best characterized, changed the landscape and made her a nationally respected documentarian. Her Chicago-based nonprofit, Our Film Works, and specifically her documentary, Sisters in Cinema, served as a seminal documentary, identifying and archiving the powerful and often overlooked contributions of Black women feature filmmakers. In her film, Living Pride: Ruth Ellis @ 100, Dr. Welbon addressed and explored Black lesbian relationships, Black lesbian elders, and the reduction of invisibility. 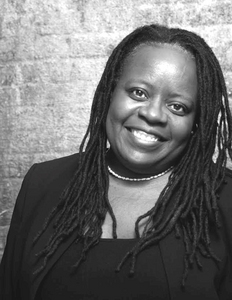 Recently, Dr. Welbon served as a producer on the award winning documentary, The New Black, which was used statewide and nationally to help support the passage of marriage equality legislation, particularly in galvanizing African Americans within the LGBT, religious, and broader ally communities. A key element in Dr. Welbon’s broader contributions has been her work on local boards, including her historic involvement with Women in the Director’s Chair. This leadership role marked the beginning of her long-standing commitment to fledgling women of color filmmakers and launched her role as an international authority. In recent years, her commitment to Black LGBTQ empowerment and equality was manifested through the development of a national model, Empowering Equality, which was implemented on over ten Historically Black College and University Campuses. Dr. Welbon led efforts to secure national funding from the Human Rights Campaign to provide groundbreaking campus film screenings and campus leadership development to advance education, policy, and practices supporting and adopting cultural inclusion and pluralism.